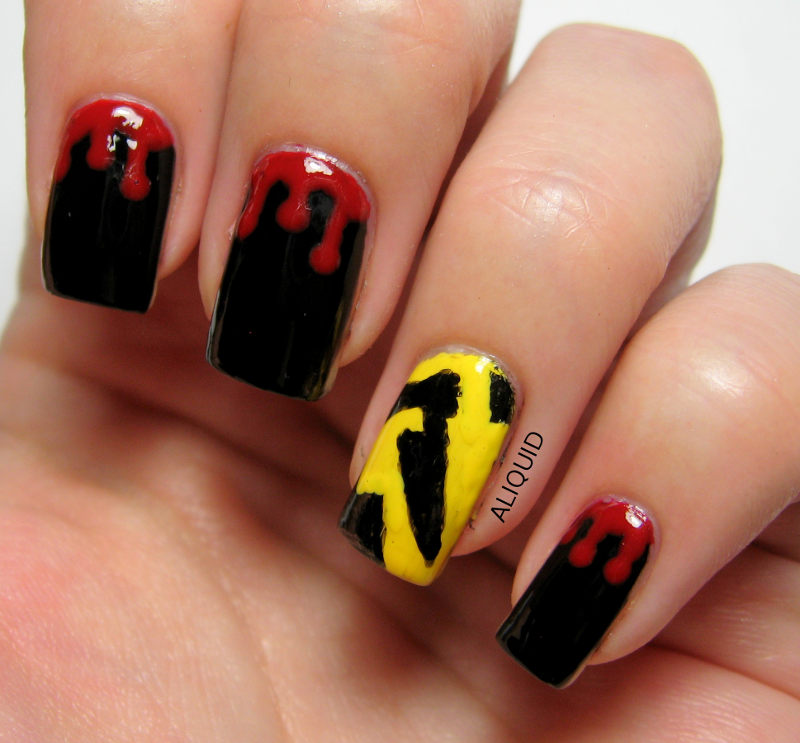 It's about time I got around to doing some Halloween nail art, right? Cue the screeching violins! This is the first time I've done a drip mani, and I found it fun and easy. I used Revlon Stiletto for the black, Zoya Carmen for the blood red, and Sally Hansen Lightening for the yellow (I was trying to make it look like a lightning bolt illuminating the knife, don't think I pulled it off). I drew the knife-wielding psycho with a Sally Hansen black nail art pen. I'll probably try one more Halloween mani this week--jack 'o' lanterns maybe? Anybody planning on dressing up this year?